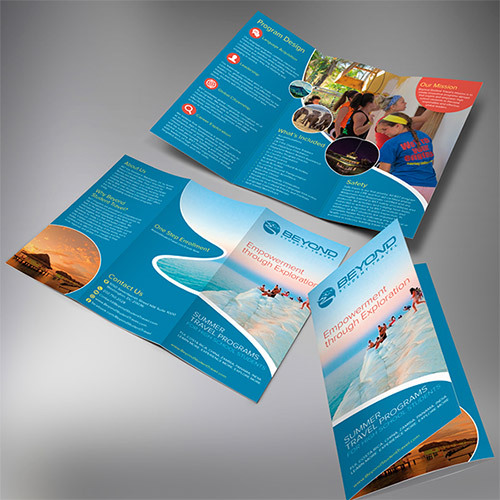 Brochures are one of the advertising or promotional materials that are used by companies and other businesses. But for this tool to be effective, it has to have a design that contains the charm that will catch the attention as well as the interest of its target audience. Additionally, it has to have the information that customers would want to know and they have to be positioned at the right place. Tri-fold type brochures are popular designs used by many due to its effectiveness and practicality. It has a generous space to put the needed details and design, but still portable and easy to carry around. 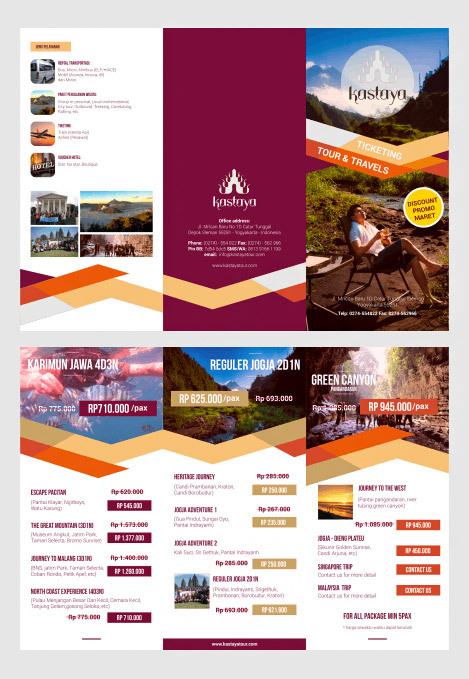 For this post, we have compiled some of the best Tri-Fold Brochure Designs that will give you some ideas on how these designs are done. Allow yourself to take a look on the examples below and have your creativity expand and be inspired. Come, take a peek, and enjoy! A blue-themed tri-fold brochure template with effective geometric details to up the design. 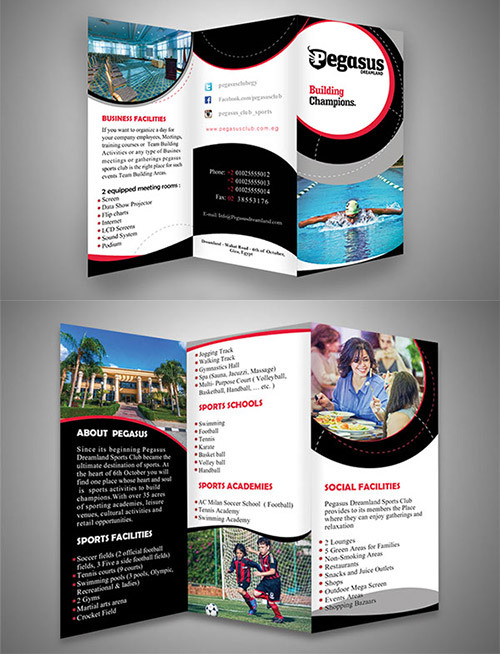 A tri-fold brochure design made for an educational institution. This brochure is for furniture products and has a clean design with diamond shapes used on product images. 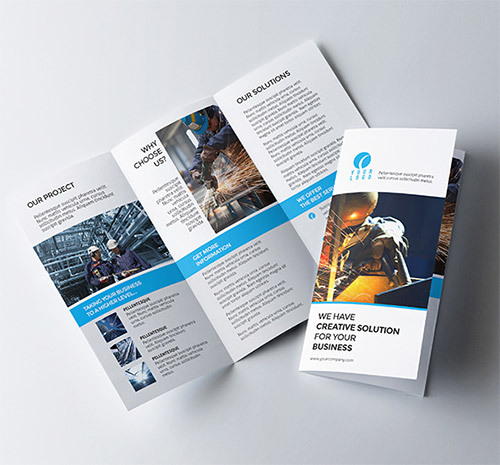 This is an example of a business-themed tri-fold brochure that has a clean and professional design with a good touch of blue. 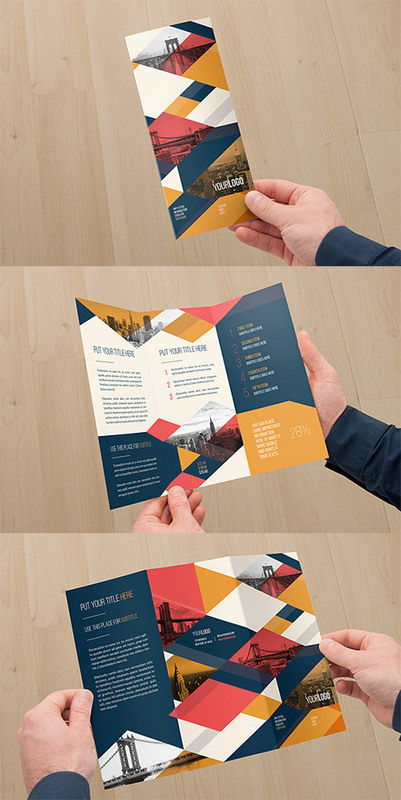 A square and tri-fold brochure design that features creative geometric patterns with playful color palettes. 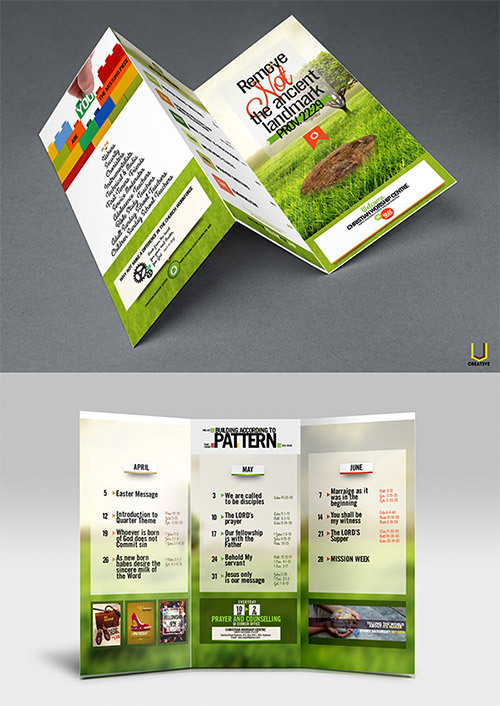 This is a green-themed tri-fold brochure design that is great for corporate companies. Here is a nice example of tri-fold brochure design that incorporates fresh-looking pictures that adds to the overall result. This tri-fold brochure design plays a black and white color combination with photos of the subject. A great example of a clean, tri-fold brochure design for real estates ads. 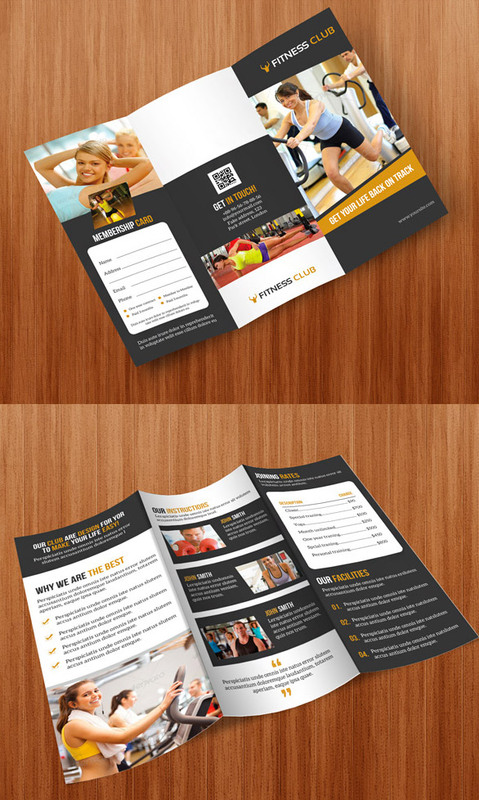 This tri-fold is made and designed for gyms and fitness clubs. 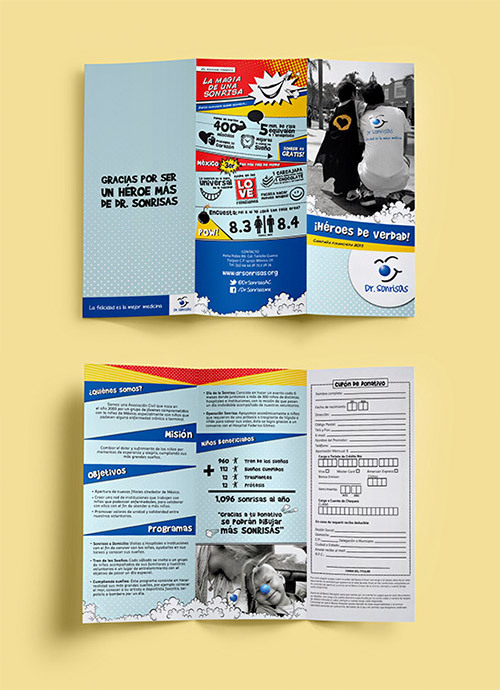 A nicely designed tri-fold brochure that has a blue theme with photos smartly placed. This is a brochure design that only uses creative typography. 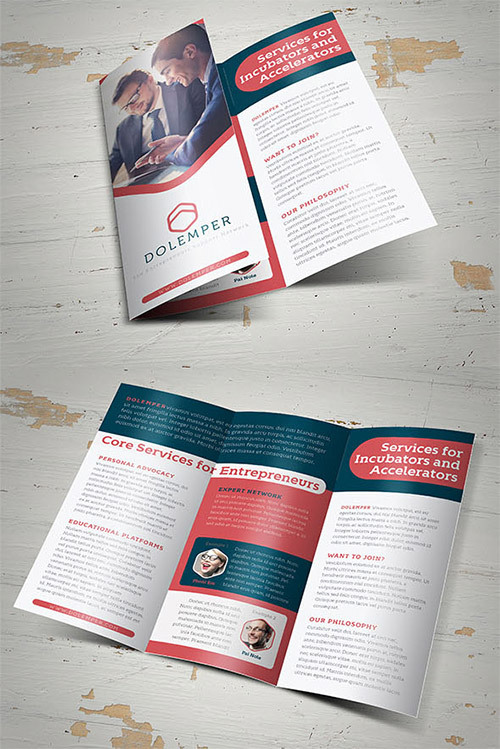 A clean and professional tri-fold brochure design fit for corporations and companies. 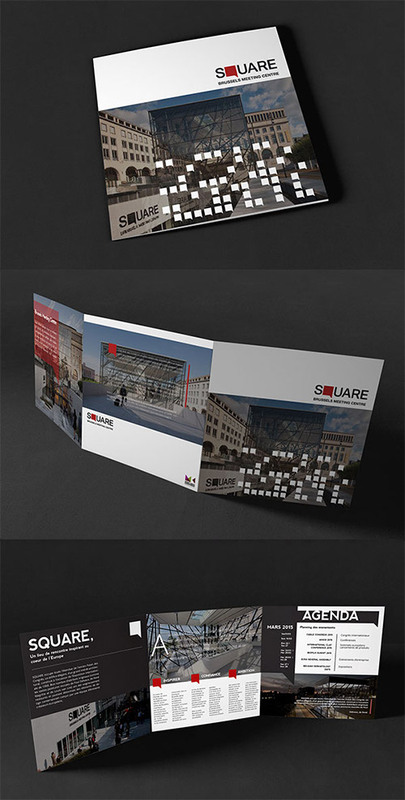 Here is another square-shaped and tri-fold brochure design that is best used on corporate companies. 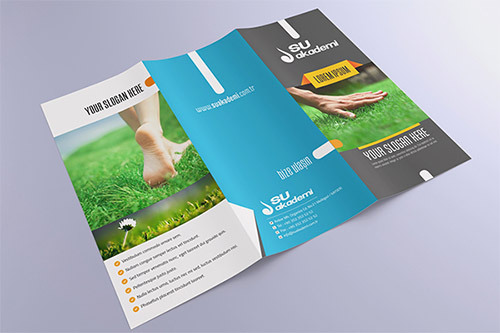 A Smart,Clear and Clean Creative tri-fold brochure design for any purposes. 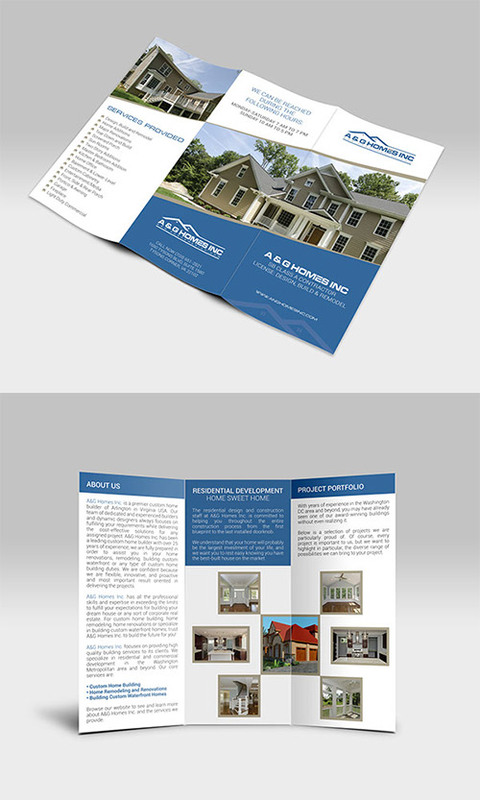 Here is another great example of a tri-fold brochure design for real estate. 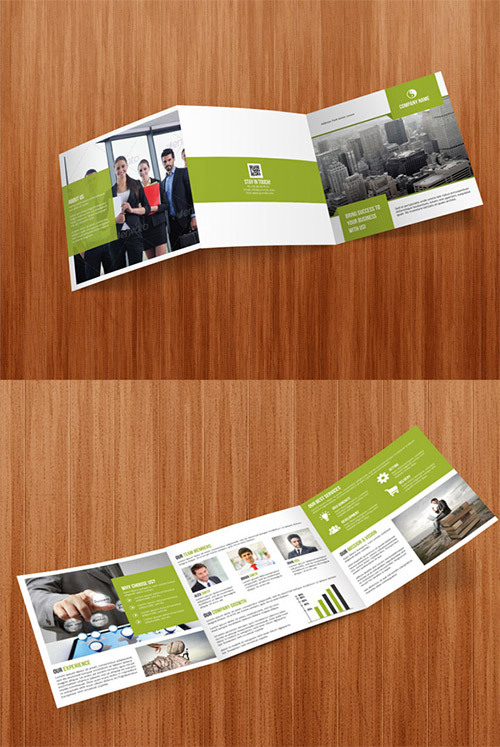 A modern and professional trifold brochure design for your corporate business. 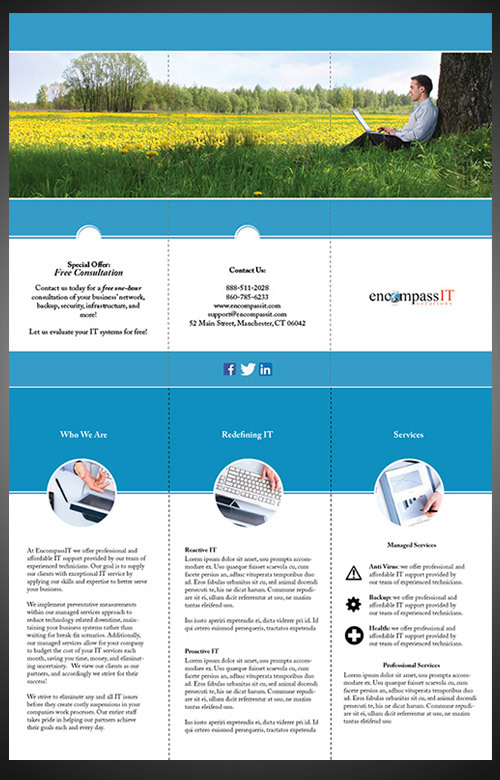 This is a clean and clear design of a tri-fold brochure madefor IT company. In this design, you’ll also see photos that are even made more distinct in black and white background. 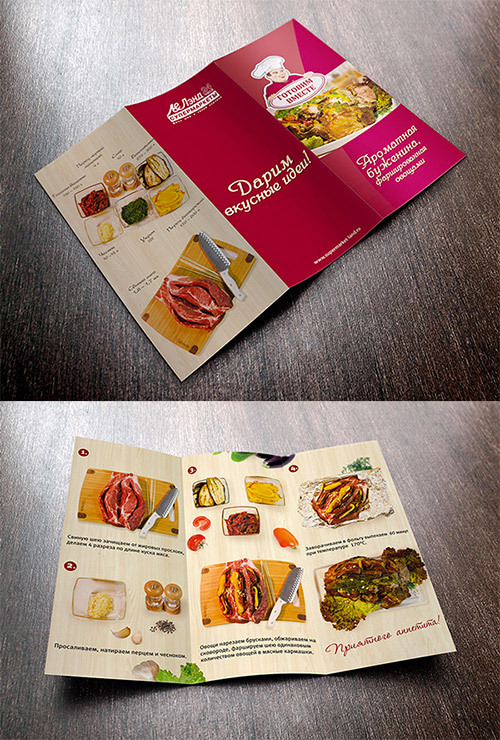 A great tri-fold brochure design for interior designing. This is Trifold Clean, elegant, modern and professional corporate business brochure template. This tri-fold brochure is designed with elements of comic books. A professional tri-fold design of brochure that best suits businesses and corporations. 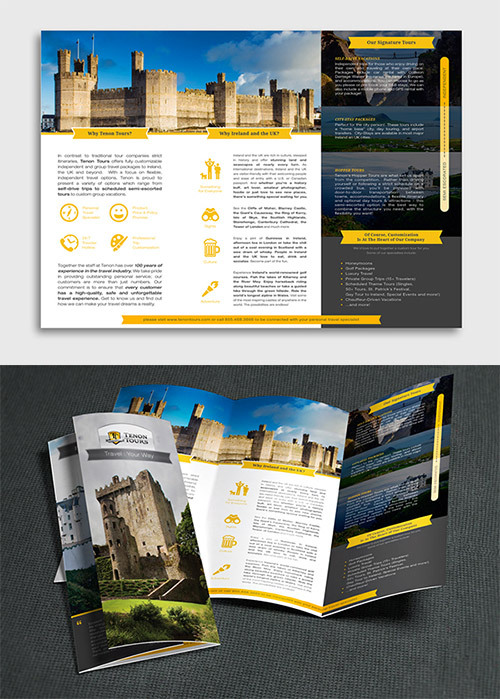 This is a brochure design for tours and travels. This trifold brochure design was made for a church worship centre. 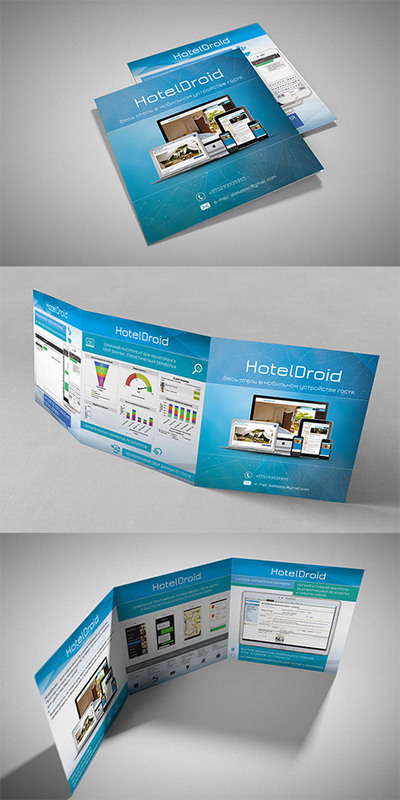 This tri-fold brochure incorporates a techy feel. A minimal design of a business-type brochure with zigzag pattern for a plus-kick to the overall look. Another great example of a tri-fold type, traveling brochure design. 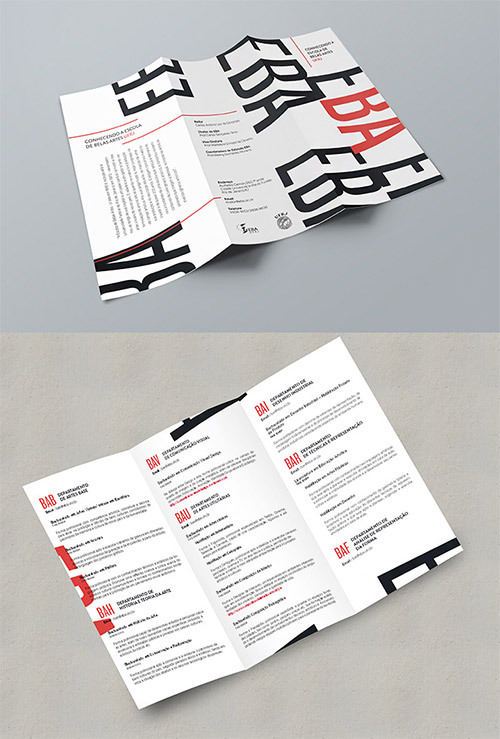 An artistically designed tri-fold brochure that incorporates geometric shapes to give an additional charm on the design. 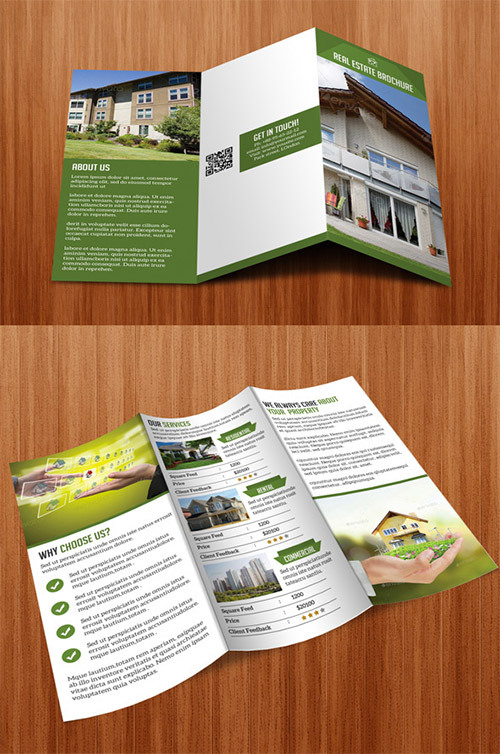 A green themed brochure design with square spaces smartly filled with photos for real estate.